Our copy of Fine Cooking Magazine’s book, How to Cook a Turkey, is dog-eared and food splattered. 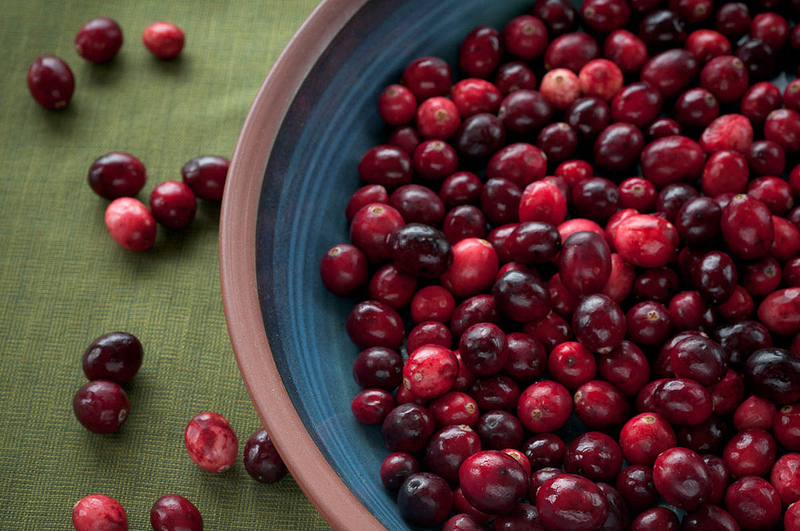 What’s great about this cranberry recipe is that it’s hands-off. You can roast it in the oven up to a week ahead; we think it’s better that way. Thus, you are killing two birds with one stone, though that is not a nice thing to say at Thanksgiving. UP TO ONE WEEK AHEAD: Heat oven to 350 degrees. Combine the cranberries, lemon and orange zests, shallots, and sugar in a large bowl and mix thoroughly. Turn into a 3-quart glass baking dish and drizzle over the orange juice. Bake, stirring occasionally, until the sugar is dissolved and a few berries have popped open, about 30 minutes. Remove from the oven, let cool thoroughly (the pectin in the excess liquid will firm up when cool), cover, and refrigerate. ON THE DAY OF SERVING: Remove the compote from the refrigerator early in the day to bring it to room temperature. Fold in the sliced scallions and scrape into a serving bowl. What you didn’t mention above is how *gorgeous* this cranberry compote/sauce is: vibrant red and burgundy globes of plump cranberries, very lightly covered in a shiny translucent sauce. A feast for the eyes and tastebuds!